Rachel Notley will add thousands of long-term care beds across Alberta. 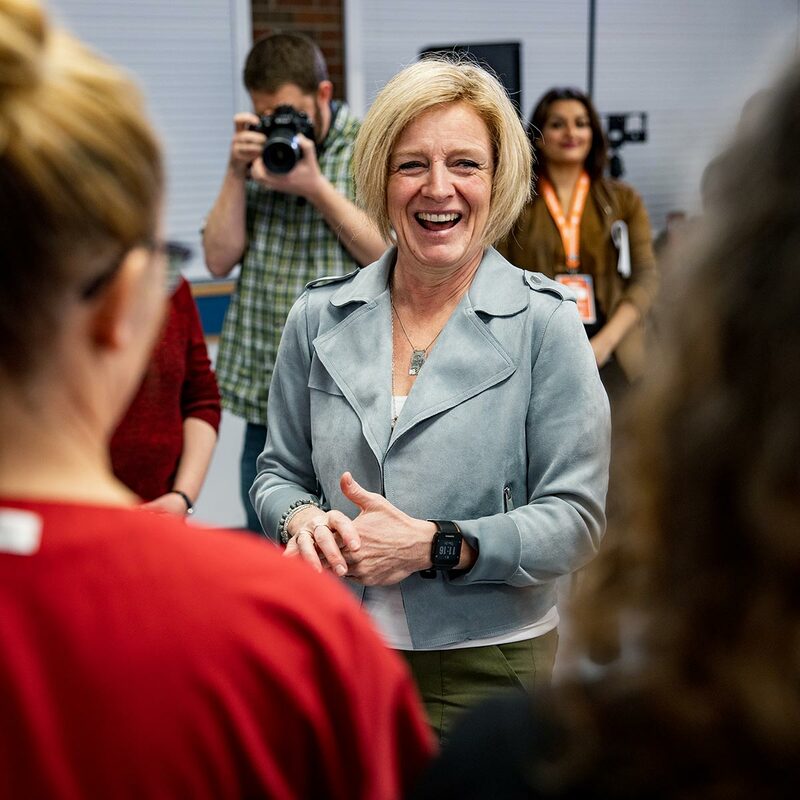 Standing next to nurses and caregivers in Lethbridge, Notley announced that if elected, she would build 2,000 more long-term care beds to meet growing demand. The new spaces will help seniors age with dignity in spaces to improve quality of life, instead of in hospital beds. Notley also vowed to ensure doctors and staff are supported and protected from cuts as they provide care for Alberta families. Long-term care spaces are seen as key links in public health care. Because past conservative governments didn’t build new beds, seniors who are no longer able to live at home end up in hospital waiting for spaces to open up. For seniors and their families, waiting for a long-term care bed can be frustrating, as loved ones are not able to live life in a suitable space and live in conditions that cause their health to deteriorate. The lack of available beds in turn causes crowding in emergency rooms and wait times for paramedics. Notley plans to continue to take aim at the gap with a $170-million strategic investment. The announcement builds on work already completed over the past four years, when Notley’s government built more than 2,100 long-term care and dementia beds, fulfilling a promise made last election campaign. Notley has worked hard for Alberta’s growing population of senior, protecting and increasing the seniors’ benefit and appointing Alberta’s first permanent seniors’ advocate. While Notley has a strong track record of protecting health care, Jason Kenney has sent mixed signals about plans to privatize health care. It wouldn’t be the first time. Kenney has spent two decades trying to dismantle public health care. As Stockwell Day’s campaign co-chair in 2000, Kenney helped ruin his own campaign by openly musing about the need to introduce American-style two-tier health care. Since coming back to Alberta, Kenney has promised billions in tax breaks to profitable companies, a plan that will require health care to go under the knife. American-style health care might work for the rich, but it will be devastating to everyday patients and families. Thanks to Notley’s continued support of public health care, there are more doctors and nurses working in Alberta now than ever before. She is vowing to keep up the fight.